IGT’s superb Siberian Storm is a slot machine can be found in casinos throughout the US, although it is not as common as the main favorites such as the classic Cleopatra video slot and another Egyptian-themed slot Pharaoh's Fortune. This slot has an unusual layout, with more symbols on the middle reels and fewer on those on the outside. 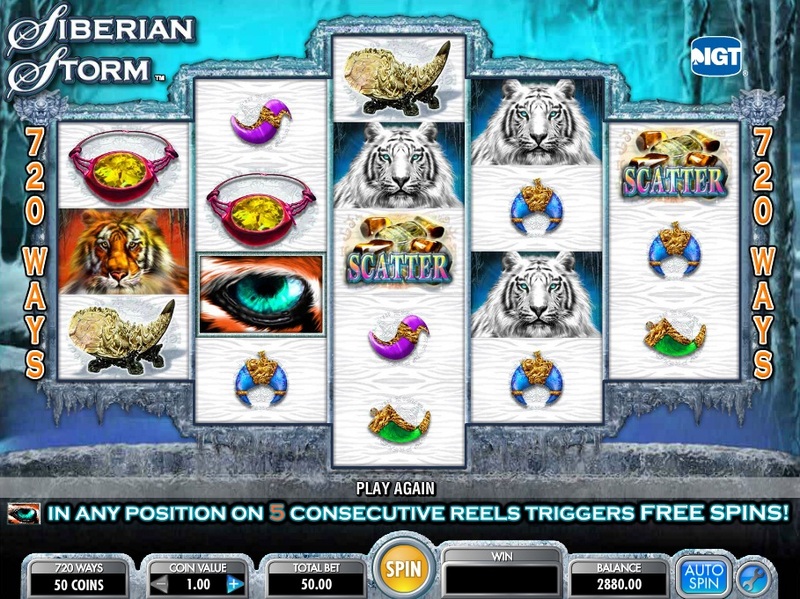 Online slot developer IGT have now created an online version of Siberian Storm. What makes Siberian Storm appealing for me is that you can win big in several ways on this slot. There are 720 paylines in total, just like the popular Fire Opals slot. There are also stacked wilds on reels 2,3 and 4, giving you even more wins. Earn up to 96 Free Spins! If that wasn’t enough, there is also a free spins bonus round, where you can be awarded between 8-96 free spins. This is because there are also stacked scatters on the reels. You will need the scatter eye to appear on each reel at least once to trigger this feature. 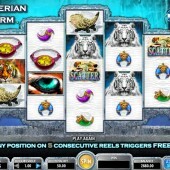 Although this slot has stacked wilds like the popular slot Wolf Run, the games are very different in the way they play. I personally like it and you will find me on the Siberian slot for a session or two whenever I am in Vegas.